When going through surgery for breast cancer, lymph nodes under the arm are often removed. This removal will forever impede the flow of lymph fluid in this area as lymph nodes do not grow back. Exercise for lymphedema risk reduction is important. The following simple exercises, when done prior to strenuous physical activity, open the lymphatic drains and allow for proper lymph drainage; thereby greatly reducing the risk of lymphedema. 1. Blow bubbles – just like when you were a kid – facilitates deep belly breathing. 2. Head – move forward and back (not past center), tilt to the side, turn right and left, and modified head rolls (just a big smile on your chest – no taking the head back of center). 4. Arm circles – across the body (both ways) and at your side (frontwards and backwards). All the above exercises are much more fun done with music. Make sure you do them slowly and smoothly. Have fun – get moving – exercise is highly recommended for cancer recovery. Lymphedema is a condition that results in swelling in one of your arms or legs. And while this swelling is typically confined to just one extremity, it is possible for both arms or legs to become inflamed (see picture). The condition is caused by a blockage in the lymphatic system, which is a critical component of both the immune and circulatory systems. When there is an obstruction in the lymphatic system, fluid builds up, resulting in swelling. Unfortunately there is no cure for lymphedema, but there are several steps you can take to diminish the affects of the condition. Exercise is one of the most commonly prescribed treatments, as it promotes the movement of fluid through the lymphatic system. Wrapping your arm or leg and getting a massage also promote fluid movement. Of course, the best line of action is to combine several lymphedema therapies, which will produce the greatest results. While there is no cure for lymphedema, there are several ways to reduce the risks and promote decongestion in your limbs. 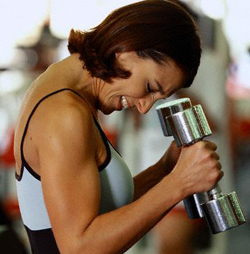 One of the most effective ways to accomplish this is through exercise for lymphedema. When you exercise, the movements of your body increase the lymph flow rate which is an essential component of complete decongestive therapy. This increase in circulation will reduce swelling by increasing the lymph flow and moving it from the affected area into the bloodstream. And aside from the direct benefits for lymphedema, regular exercise will obviously improve your overall well-being too. There are myraid exercises prescribed to lymphedema sufferers, but it is important to consult your physician before undertaking any program. Surgery for breast reconstruction may mean waiting until a certain level of healing has occurred. Lymphedema: Can It Affect Your Torso? Absolutely, yes, lymphedema can affect your torso? I hadn’t heard of this instance much until recently. Those who have had breast cancer surgery can have the area around the back and/or front of the torso swell as lymph is not cleared away. This can also happen to those who have had surgery or treatment near the neck (i.e. thyroid cancer or leukemia). 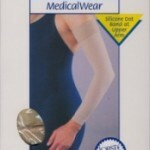 Most familiar and visible is the lymphedema sleeve which controls arm lymphedema. There are also compression or lymphedema camisoles that control the torso swelling. 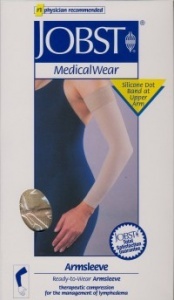 Popular body trimming garments may look the same; however, the compression garments for lymphedema are specifically designed to control lymph flow, have breast pockets for mastectomy patients, and in addition provide body trimming. Lymphedema and Cancer: What is It? Lymphedema is still not widely understood or acknowledged as a risk of cancer, especially breast cancer. There are guidelines for prevention if known beforehand. The sad thing is that once a person gets lymphedema, there is no cure. So, prevention is key. So, what is Lymphedema. Here is an excellent video explaining exactly what lymphedema is. “Lymphedema is an accumulation of lymphatic fluid in the interstitial tissue that causes swelling, most often in the arm(s) and/or leg(s), and occasionally in other parts of the body. Lymphedema can develop when lymphatic vessels are missing or impaired (primary), or when lymph vessels are damaged or lymph nodes removed (secondary). 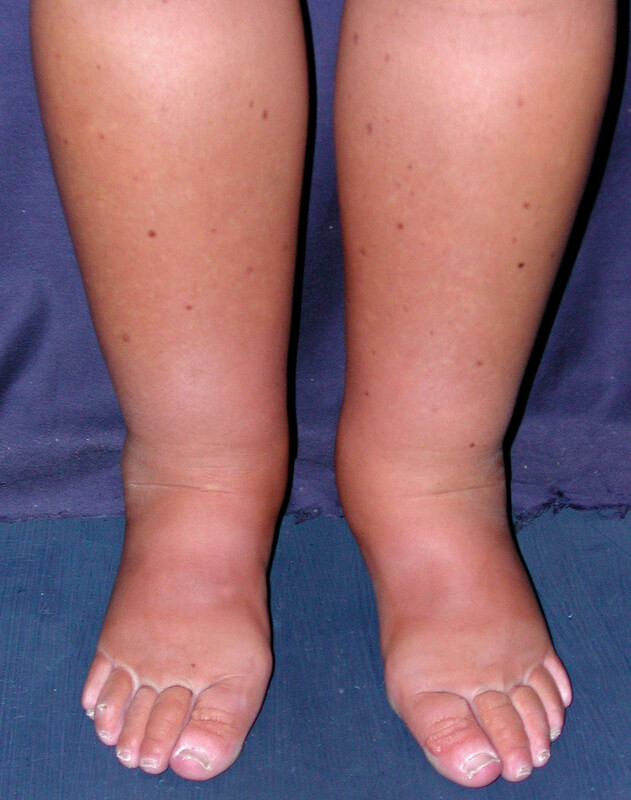 Lymphedema can occur in the upper and lower extremities (arms and legs – and even torso). You are at risk if you have had surgery for cancer that involves removal of lymph nodes. For more detailed information, read the following books about Lymphedema. Over the next few posts, I will be covering some the issues related to lymphedema and cancer.